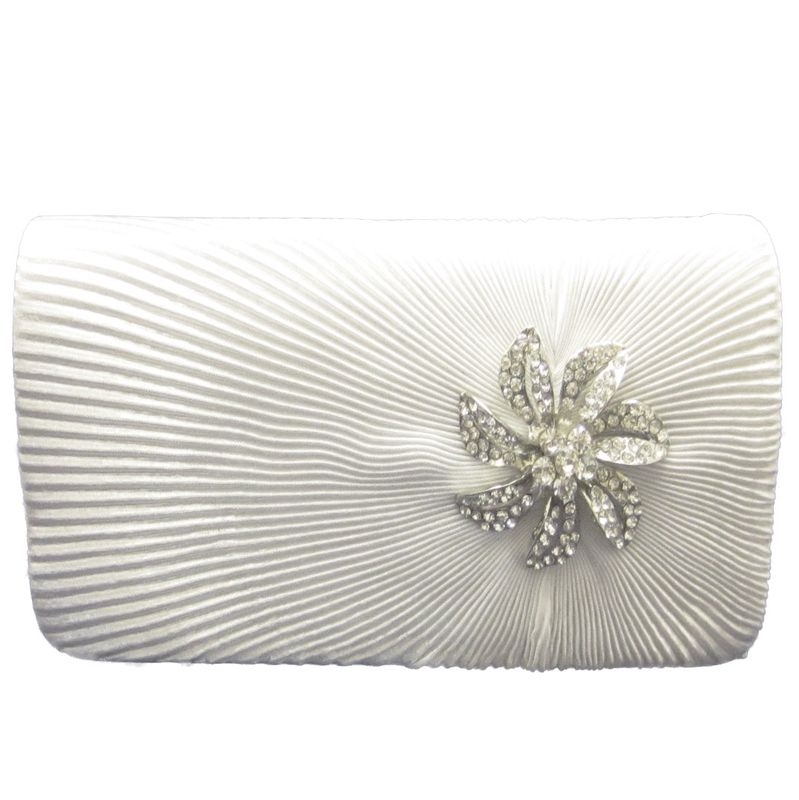 This white satin pleated evening bag has a silver metal flower on the front. 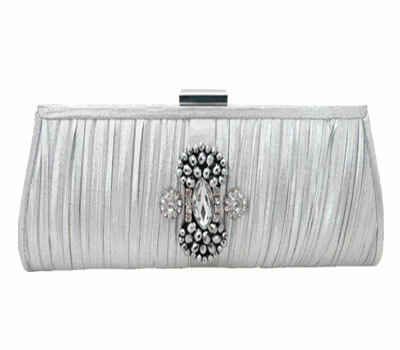 It can be carried as a clutch purse or worn as a shoulder bag with the optional shoulder chain. 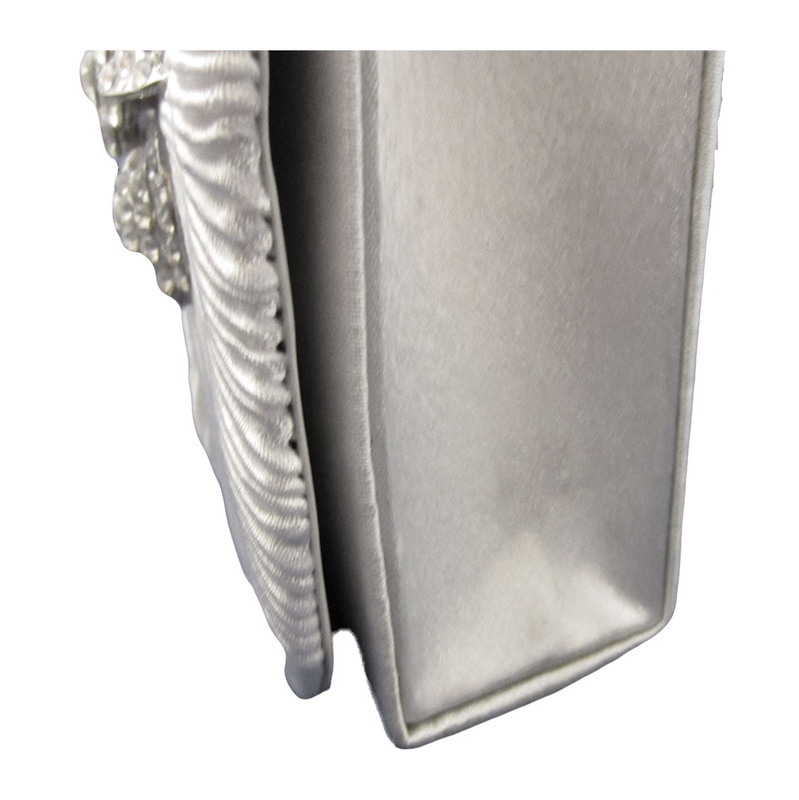 This handbag is perfect as a Bridal Purse. See all of our Bridal items in our Bridal Collection category. Crystal silver metal flower on the front.